Jill DeWitt: Hello and welcome to Episode 14. Today it’s all about you are no longer limited by your bank balance. I want to just pause real quick and say thank you so much to my YouTube community for hanging in there with me and I’m so happy to really be live, and I think we’ve got it all figured out. And I’m excited, I have a special thing coming just for you viewers at the end today. So this show began as a way for me to share tips on how to begin flipping the easiest type of property land. Why? Because we all know there’s money to be made in real estate and most people are doing it wrong. Well, whether you’re getting started in real estate or anything else, the getting started part can be the hardest. 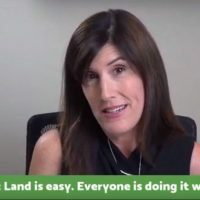 I’m Jill DeWitt, co-founder of land Academy and together with my partner Steven Jack Butala have completed close to 16,000 real estate transactions of all property types. Every Wednesday now at four o’clock pacific time, I’m here to help you get started flipping land or possibly tackle something else that’s not getting done. Before I dive in today, I want to share a little something that I got an email that I received, Steve I received today. And this is just one of those awesome affirmations about why I’m here so I printed it out, I highlighted the important things and I just want to take a moment and just share this with you because this really kind of sums up who we are and why we’re here and I’ll do my best not to cry. I have to say that every time. I love these. Hi Steve and Jill. I recently had a conversation with an associate and friend regarding various opportunities we had experienced over the years. We became friends as a result of participating in a $30,000 option trading continuing education program. Both of us had had numerous experiences with many types of coaching, training and self improvement educational programs. He is aware of my real estate success and experience with Land Academy as a result of many casual conversations. 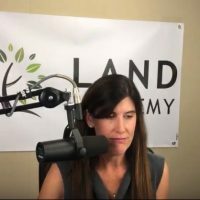 I explained unlike many of the other comparatively expensive programs, Land Academy and its founders provide real value delivering an abundance of relevant information, resources and support to their clients. I further explained that you, Jill and Steve, have a genuine interest in the success of their students and that in my nearly 60 years have never found a program that offered such a great amount of value and ROI. This morning, he called me back with his wife on the line and asked if I thought he could be successful using the Land Academy program. I replied that the only way for you to fail is to pay for the program and not use it. My partner and I joined Land Academy late 2017 and have used the program to acquire more than 20 properties with an average gross profit of $42,000 during 2018. Our plans for 2019 are to focus on acquisitions, sales and outsourcing all in Land Academy 2.0, which will dramatically increase our volume moving forward. Thank you for all the insight and inspiration. So I had to pause and and share that and what I have to further follow up with on that is, a couple hours ago, I did my normal Facebook Live Show. And on the Facebook Live show, the person who reached out to our member was there. So, his name is Cesar, if you’re watching here Cesar, I saw you had a call scheduled to my team, I’m so glad. I know enrollment’s closed. I asked them to kind of lift the ban and let you in if you wanted to start doing it this weekend. So I just want to say it’s amazing how this happens. This really came in this morning and this guy was here. I’m so happy to be doing this stuff. Steve and I talked about this the other day. I’m very off off topic here but I’m so happy we’re here and providing this and really changing people’s lives. People have told me that colleges are paid for and mortgages are getting paid for and and lives are different because they found us and they can flip land and do what they want to do. So, I’m so happy. So I wanted to talk about today, I’m talking about, you are no longer limited by your bank balance. So last week, I explained Land Academy deal funding, and today I want to share how this can help every new investor and give some insight into the great deals that we’re doing. So unless you have saved money or some version of a rich relative, you are limited when you’re starting investing and buying properties. I don’t want to push anyone into pursuing an expensive high interest rate form of borrowing money, because all that does is provide unnecessary pressure on getting deals done. That’s never the right way. And until now, that left new investors able only to send offers to purchase properties based on what they could afford and then often running out of acquisition funds and potentially missing out on great deals. That even happened to me at one time. I’m sending out my offers I have more deals and I can handle and, only, you know, now and then some great home run would land in my lap and I’m having to juggle my acquisition funds to get deals done. And sometimes I think I lost some because I couldn’t act on them fast enough. That’s why we are here and we have decided to fund your deals. You do not have to be a Land Academy member. This is for everyone. And let’s face it, we know how to teach others to source incredible deals. We know how to quickly review a great deal, and we know this asset type and how to make money fast. We want you to be able to ramp up fast and add that zero to your deals. So that means, no need to keep sending offers for $500 to $1,000 price properties. I’m telling you now, we want you to go ahead add a zero like I said and send offers for those $10,000 and higher price properties. Land Academy is here to show you how because you are no longer limited by your bank balance. So now I’m going to show you, I’m going to switch to a spreadsheet and I want to show you what’s on my plate this week. A little more about the deals that I am reviewing. And I’m going to give you a little insight into one deal in particular, just kind of show you what’s possible here. Here we go. So here is my spreadsheet of the deals that I am working on right now this week. As you can see, on the left, they’re from all over the country. I’ve got Colorado, Virginia, California, Texas, Ohio, Arizona. I’ve got acreage ranging from five acres all the way up to, actually even smaller, I got .28 acres all the way up to 40 acres. I have purchased prices ranging from just shy of $7,000 all the way up to $150,000. And then I have the estimated sale price, this is my favorite part. After we look at these, and this is what we look at. The purchase price, sales price, the value of the property, and then we decide to pull the trigger. So, these are, you can see, I have some real home runs in here. These are not my deals, this is what’s submitted to me this week on my Land Academy deal funding. So as you can see, I’ve got everything from $6900, looks like it’s worth $30,000, standing to make $31,000, amazing ROI. $15,000 purchase price, $39,000 sale price, $23,000 profit, 152% ROI. It’s amazing, amazing numbers. $50,000 purchase price, worth about $500,000. This was off the charts. It’s just amazing. But the big picture is, I’m going to show you at the bottom. So all together in these properties, I’m looking at outlaying $464,000 to make $1.6 million which I’m looking at a profit of $1,173,000 and and almost 1,174,000, with an average ROI of 250%. So this is what’s going on with our deal board. And this is why I totally changed my job description this month and overseeing this whole side of our business, Land Academy deal funding. So now I’m going to show you a little more about one deal in particular. And this by the way, what I’m going to show you here is what Steven does all day long. So, when the deals come in, when you go to land investors or Land Academy and you put in deal funding and you submit your deal, it immediately sends out a blast to many people on my team, myself and Steven included. Steven loves these. This is his favorite thing on the planet. Doesn’t matter what’s happening, he’s on his phone looking up these properties. And so I’m kind of showing you a little bit about what he looks out and what he does to give you an idea. It’s comical, he loves this. So, this property is in Virginia. It’s five acres near West Point.Wwe have it in escrow for $11,500, and we expect to wholesale it for $75,000. Now, I’m going to show you a little bit of the area and again what Steven does but I can’t get too into the actual APN yet and the actual street but you can just kind of get an idea of what’s going on here and I’ll show you some comps you can see. So down here, let me move this over. So here is West Point, Virginia. I’m going to zoom out. Talk about gorgeous and green and just a beautiful part of the country. Let’s see, here, the actual property is kind of up in this area up here. So now I’m going to kind of zoom in and I’m going to drop a little guy down at Street View just to kind of get an idea of what’s going on in this area too and see why these properties are so valuable. So let’s see. I’m just kind of picking along random spot here. Where I can get a good street view. All right. Let’s see if this will do it right here. All right. How cool is this? We got agriculture things going on. We got like a house, a farm over here. And the property that we’re buying is on a paved road. So, you can kind of just get an idea of what goes on out here and what you can do. Look how far they sit back their home. They have a nice big chunk of land. Here’s another one over here. They probably have multiple acres, it’s real similar to what can be done with the property that we are purchasing right now. Let’s give you another view here. Just pretty blue sky and this isn’t even more to the more woodsy parts. There are parts of this that have a lot more woods and you can see the tree line back here. And actually the property is not on this road, it’s a little further back that we’re purchasing so it does have more trees kind of going right up to the property. Now I’m going to show you another thing, another check that we go through and that is looking at some comparable properties. So, I already put in West Point, Virginia. Here I’m on realtor.com. It’s a great place that even for land that you could look at to get some idea of what the property values are, what things are selling for. So, as you can see, I’m going to show you property type. There we go. Property type. I filled in land because that’s what I want to zero in on here. So, I’m just kind of kind of scroll down and show you, .74 acres for 23,009. And this is in the city that it’s in, West Point. So you can see why my five acres could easily be worth $75,000. Here’s .45 acres for $19,900. Try to get some larger parcels to look at. Here’s .8, goodness, $30,000. Here’s one acre. 32,900. So this is kind of things, here’s 1.1 acre, 34,950. This gives you a good idea of what’s going on here. .62 acres $35,000. So, that gives you great, again, a great idea of what goes on here property values and how we’re pricing it and what we’re going to do with this property. So now, I’m going to go ahead and open this up to question and answer. I have right here with me, I am ready for your questions. So, please enter them in. This is your time. Ask away. I’d love to answer anything about what I’m talking about today. If you want to ask about Land Academy deal funding and if you have any questions about what kind of deals that we would fund. Anything you want about that, what goes into it. You want to ask about Land Academy itself, ask away. So I’ve got one right here. Let’s see. I think it’s just greetings. So you know what, thank you Lonely Pepper Homestead. You have been my most patient person and I so appreciate that. I’ve watched you as we have attempted to do YouTube Live. We tried to do it at the same time with Facebook in many different ways and you were so patient and there for everyone I think. I think this is the best way. We just have our own show for you and and at the end, don’t forget, I have something awesome that I’m going to do here. There’s a question coming in from my team actually because I’ve questions, sometimes I get them in filtered in different ways and I’m sharing them here so everybody can benefit. 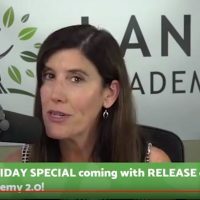 What are some of the things that Land Academy is looking for when you review deals to partner? All right. Well, the first thing is, the deal, the quality of the deal. That’s number one. I’ve got to have a great purchase price, I’ve got to have great comps. Ideally want enough in there where we’re splitting it up so you and I each make no less than $10,000. So like a buy for 10, sell for 40, you and I are going to split $30,000, it’s perfect, that’s what I look for. And that’s about the deals. When I’m looking for the partner, I do want to see someone that has a track record. You don’t have to be a member of Land Academy. But I’d like to see that you have your own land selling site. I’d like to see that you have bought and sold some properties and have an idea of how you want to best market the property that we’re going to fund for you. Excellent. Let’s see, what else. I’m seeing what else while I’m waiting for some more questions to pop in here. I was going to say about the deals all over the country, sizes don’t make any difference, whether it’s even an infill lot or large acreage, small acreage, we’re open to funding all types of deals. So I’m really, really happy about that. Hi, Richard. I have people just kind of saying hello and checking in. So that’s really nice. I’m glad to see you here. So if you haven’t seen me before, Land Academy is all about teaching other people to buy and sell rural vacant land and also infill lots. We’re also going into teaching houses and house Academy coming out and then who knows. We’ve talked about doing Mobile Academy which will teach mobile home parcels, and then maybe even other property types. I don’t want to overstep my bounds and promise anything yet because there’s a lot that we could do. Because we do ourselves buy and sell land and properties of all types including houses all over. So we can help with everything. We just kind of started with rural vacant land as we rolled out Land Academy. We thought, hey, let’s even see if, a, anybody really wants to know and, b, how good are we at conveying our message and getting it out there. And who knew? It worked and we did a great job and the program’s awesome and our members are killing it. So now we’re taking it to the next level. So that’s what’s coming up. So here we go. Let’s see. Here’s another message that’s coming through from my team. I’ve been learning from someone else on the side, but I think I’m missing some pieces. Can you help me? The answer is yes. There are a lot of members that came to us from other programs or tools or sources or people out there, mentors if you will, teaching them to buy and sell land and other types of properties. And often they came to us for two reasons. One is support and, actually three reasons. One is support. They needed to get some questions answered and need a little more guidance and help. We’re able to provide that. Two is access to all the tools, data and things like that, and cheap mail which we have. We can help with all those tools. We are either licensed providers or have created and provide you access to all the tools that you need to get the data and scrub the data and get the offers out and do your due diligence and look up properties, post properties, market properties. Everything that’s needed, we’re able to do for you now. And then the third thing that people came to us to was growing the business. I have a lot of members in land Academy that started with other programs and it was really great for getting their feet wet understanding how to do a transaction. But when they were ready to turn up the gas and go at this and make it their full time thing, that’s where we stepped in, we’re able to help them show how to grow their business and ramp it up and Land Academy deal funding is just one of the pieces that you need to turn it up a little bit. All right. Hey. Hello Ben. Ben asks, if a deal doesn’t meet your criteria is for a $10,000 profit, what’s the best place to submit that deal? The deal board or elsewhere? Great question. So if it doesn’t meet our criteria, we are putting together a plan where it’s either going to go to a, the deal board, which is actually going to become land tank. So it’ll go there and then that’s probably where it’s going to get funded by someone else within our group. So I guess that kind of answers it right there. So in the meantime, do what you’re doing, use a deal board. If I know someone in our group, by the way, that is a perfect candidate to fund some deals that we pass on, like I do that right now with Justin. There’s deals that come to me that don’t quite meet our criteria. So I’ll let you know, hey, this doesn’t work for us. Here’s why. But I’m going to forward it to Justin, Plum Investments, Justin Sliva, one of our members who is also helping fund people. And we do it back and forth and I’ll make I’ll let you know. Great, great question. Let’s see. I love this. Ben asks, Justin or Plum Investing funding deals as well still? Yup. We’ve all confirmed Ben that not only are there enough properties to go around, there’s enough deal funding to go around. Justin I just had a half hour phone call yesterday as a matter of fact, and, and we both you know, kind of laughed about how it’s, you know, in a healthy way, we’re each keeping up with our deals and we’re both funding as fast as we can and and everybody’s working together. That’s that’s how this group is. So excellent question. Hello Lonely Pepper Homestead, asking, realistically just starting out, how much should we expect ballpark guests to invest in doing research and making offers. I love this question. So doing research and making your offers. To me this is sounding like a time thing, and I understand this is a big one because you can get caught over-analyzing and I don’t want that. If you have a full time job and you’re just starting out, I recommend spending one weekend, one month allocating one weekend to picking a county, researching the area. How I want you to this is you’re going to pick like five counties. You have a bunch of different counties that you’ve already thought about, started to look at. So I want you to spend all weekend diving deeper into those counties and using all the steps that we share and to help you know what to look for. And as you’re going through that that weekend, by Sunday night one’s going to rise to the top and that’s all I want you to do. Then the next weekend, so just think about, I don’t know, 48 hours let’s just say that’s what you put into it because you have a life to on the weekend, you want to have some fun. Then the next weekend, now I want you put another four to eight hours in pricing, downloading the data and pricing those offers to get them ready to go into the mail. So I don’t want to spend too much too little. And that’s the best thing too. The best thing you can do is start in, do what we said, don’t over-analyze and not spend too much time. Get those offers in the mail and then once the calls start coming in, you’ll know if you did it right, you’ll know if you did it wrong. You’ll make some tweaks and I’ll tell you every single time someone said, oh oh, I obviously overpriced them, everyone called me back. Good job Ben, I’m so happy. Just submitted my final approval to OTO, which is offers to owners to send out my first mailer. Wish me luck. All right, Ben, be ready. Okay, make sure you have your phone on. I want you to answer those calls as much as you can. 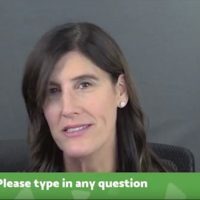 Please make sure that you have printed out my Jill’s inbound land seller call sheet or chichi, and there’s a version of it for you and everyone too on our online community on landinvestors.com. 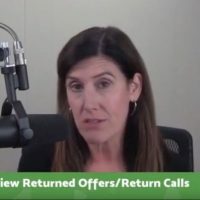 If you scroll down on the left hand side, it says Jill’s inbound call seller sheet and you can open that up, it’s a window right there and you can print it out. And it’s all the questions that you want to ask the sellers when they’re calling back because they’ve got your offer. It’s a way of making you sound professional, get all the information that you need and not forget anything. And if you do, it happens too. There’s going to be a time that you’re going to hang up the phone and you’re going to go, oh shucks, I totally forgot to ask the guy the APN. I got all caught in the size and the city and I got his name and his email and all the details about his taxes. But shoot, I don’t have the APN, I can’t go look it up. So that’s okay. You know, I use it, it’s a funny opportunity and nice thing just call the seller back and just say, hi Mr. Smith. I forgot to ask this piece of the property. What’s the parcel number? That’s what that cheat sheet is for. Good luck. And if you don’t know what offers to owners is, one of the tools that we have created over the years is our own direct mail printing company. It’s Offers 2 Owners. Check it out offers, and then 2, owners.com. And it’s the fastest, cheapest way to get offers for purchasing property in the hands of sellers. And we do the mail merge for you. There’s no setup fee, we have made it as cheap as possible. It’s phenomenal. And we’re actually working on making a little bit less. So it’s great. Check that out. Let’s see here. While I’m talking about Pro Tools, I’m gonna answer a question here that got through to me about our Pro Tools. So can I explain the Pro Tools and why do I need all these? Well, it’s one thing to know how to buy and sell land and how to complete the transaction, do a deed and record the deed and the process. But you need access to the data, you need access to cheap mail. You need access to doing your due diligence. You need access to places to look it up and look at the property quickly online and complete deeds. So that’s what all the Pro Tools are. And in the beginning when we did Land Academy in 2015, we just were sharing our business model and it quickly grew into many members say all right, where are you getting your data, where are you doing your mail? How is all this happening? We need to do this too. You guys obviously are pros and you get at the cheapest in the fastest. Can we get it like you? So, Steven and I became licensed providers or created them for you. That’s what these Pro Tools are. So, to check out a list of them, go to landacademy.com and you can find them there. Just to give you an idea, some of the things we provide are, for the data, you have nationwide access to Real Quest pro which is core logics data source for you can just download tweak it, get as specific as you want and it’s all the assessor data all over the country. Then for doing your due diligence, we provide things like Parcel Fact. That’s a site that we created. We can just put in the state and county, APN, property pops right up there for you. You have the ownership ownership information, maps. And it’s not just the center points too by the way. You have an outline of the whole property, whether it’s four corners or 14 edges, it’s all right there. We also have TitlePro247, you have full nationwide access to that. These are some tools too that you can’t get on your own. It’s designed for title agents. We have access to that and we share that with you. So that one’s like, if you’ve heard of AgentPro247 and a lot of people that use that, TitlePro247 is the same thing but on steroids. You can pull in reports and I can do all kinds of things in there so it’s phenomenal. And then going through the process, DeedPerfect to help you do deeds. And then coming up we’re going to bring back TitleMind. So for those transactions where you don’t even want to be involved, you want someone else as a coordinator and doing the signing and getting it recorded so you don’t have to. And it’s not using escrow. You can do it with or without escrow. Titlemind.com is coming back. So those are some of the tools that we do. Let’s see. Joe, hi Joe. Joe says, aloha Jill. Is there a system, software, app, CRM that you use to track acquisitions as they come in, your due diligence and send to notary etc? So you know, Joe, I will be honest with you. The answer is yes. I have my own internal CRM that we developed back in the 90s that we still use to work properties through the system. We’ve looked at revamping that and making that available online but I’ll tell you, the amount of money and the time and the cost that would go into that would take us away from what we do from everybody every day that we had to make a decision, do we want to be a CRM company or do we want to be Land Academy and House Academy. And we voted for land Academy and House Academy and getting you what you need. So, there are good CRMs out there. I know there’s a lot of discussions about that inside of our online community and landinvestors.com. As you’re getting started, there’s still, as you saw, I showed you a spreadsheet. There’s still a lot of things that I’m old school spreadsheet on that I can keep track of my properties just fine. I can move them to a different tab as I’m going through the system. My acquisitions in one tab, my engineerings another tab and then what’s sold is on another tab. And then it’s all in that same worksheet, saves me a lot of time and I can cram a lot of information in there. So good, good question. Here’s a question that got to me through one of my team. Aaron says, what do you recommend for a newbie with limited funds as far as marketing goes? Where should I start? Everywhere free that you can or inexpensive. If you can, and I’ll tell you nowadays, it’s not crazy, you could go get your own web domain name and get your website running for hundreds of dollars. I mean, probably if you did it yourself, you could probably do it for under $100 and get it going. So for just a few hundred dollars, you can have somebody else make you a very basic website. You’ve got to have that, you’ve got to go and get your social media, get your Facebook, your YouTube, your Twitter account, Instagram. As you’re creating, and this is stuff that we talk about in the program too, when you’re getting your business rolling, your investment company going, you get your name and your website, go get all the social media accounts you have them ready to go. And you’re going to want those, when you start posting your property for sale, you’re going to put those out on all the social media because that’s a great way to market your property. I think we’re getting through our questions. I’m going to give it a second here and see if there’s anything else that pops in. And while I’m waiting on, I’ll do a couple more minutes. In the meantime, I’m going to go ahead right now and just share what I have for you. Okay, so YouTube viewers, I have two announcements. One is, I’m doing a drawing just for you for a free Land Academy program and it’s going to be awarded next Wednesday right here at four o’clock pacific time on YouTube Live. So how do you get in on this? You need to subscribe to our YouTube channel and like this video. Please also leave a comment and use #landacademy. And then the third step is send an email to my team, support@landacademy.com, with your name and email address so we know that you’ve done all that. And that’s all you have to do. I did this a couple weeks ago on Facebook Live. If you saw, I had a drawing, I really had names in a hat and I drew a member and her name, member now her name is Dallas, and I drew Dallas’ name and showed it to everybody and she was immediately put into our system and immediately of Land Academy and all the data and everything was turned right on. So that’s what I’m going to do for everyone here next Wednesday. I also want to share that we are days, not weeks away from reopening membership. I know membership right now is temporarily closed. Steven I wanted to take a little bit of time in January to kind of make sure our plans for the rest of the year, check our pricing, kind of get a game plan together with all the tools and the things that we’re going to introduce. So that’s how we close it out for a brief time. So, it will be reopening very soon. I will say it will be within the next seven days. So not weeks, just days. How will you be notified? Well watch social media or watch your email. And if you have downloaded our ebook and you are already receiving my emails, you’re in loop, you’re in the loop already. If you’re not sure, quickly send a message to my team support@landacademy and they will check for you. So thank you, oops, got a few more. I’m so glad, this is so nice. Thank you. I have a little note from LandAlly saying thank you for doing this at a later time. My job keeps me from streaming to Facebook show. I’m so glad to hear that and I’m hoping this would, that would work out this way as well, so thank you. Thank you, I have someone already submitting their #landacademy. Hey, this is going to be awesome next week. Okay, I have two more. Two more that I’m going to fit in here real quick. These are good. What if I find I need more help after joining? What additional support is there? You know, that’s one of the things about Land Academy, Steven I are here. We’re not going anywhere and we really are here, and we are committed to make ourselves available to you. So every week on Thursday afternoons we have closed, I mentioned a minute ago, closed weekly member webinars. And you can ask away. They’re recorded for members, they’re put on our website in case you can’t listen to them live, you can hear them later. And we are here live answering your questions. I’m also here right now. So, that’s another way. Also we do consulting. If you want to do some one on one consulting with Steven or I, we are available and you can find that on our website landacademy.com. So, last thing I’m going to share real quick here is, I was so excited to hear about the release of Land Academy 1.0 and your video. Can you explain how this fits in with these existing programs? Yes. So here’s what is happening right now. In 2015, Steven and I created Land Academy, the cash flow from land program. It was phenomenal. As you can see and you’ve probably noticed all the members here and the stories that I’m sharing, holy cow, it’s great. Everyone gets it. They’re buying and selling land and now they’re needing me to fund them. So, at the end of last year, we came out with Land Academy 2.0 because everyone success was pushing them into bigger dollar amounts and different property types. And the next progression was infill lots. That’s Land Academy 2.0, infill lots. Now we found as we were doing 2.0, we had 1.0 and 2.0, cash flow from land 2.0, there’s a little gap here that didn’t address all the great tools and resources and things that we’ve added in the new ways that we look at properties and the awesome easier things that we have to offer now that we need a little bit further explanation. So that is Land Academy 1.0. So Land Academy 1.0 rural, vacant land it’s going in the middle and that’s what’s coming out in a few days. So everyone who’s watching is already a member. I’m sure on the member dashboard who are probably staring at a great outbox, a tile where nothing happens. So, that’s what’s coming in days. And so I’m really, really excited. So that’s what that is. Thank you so much for joining me today. I’m so happy to be here live on YouTube. Does my heart good. Please leave comments and any topic suggestions you have here below in the comments area. And if you haven’t done it, get our free ebook. It’s not your normal ebook. It really does give you inside to our business model and tell you what Land Academy is all about. I am Jill DeWitt from Land Academy. I’m here to help you get started. That’s the hardest part.